Up to 2 brands on one acct. 3-Zapier integration for ProSelect, etc. **Some may have certain features only available with certain plan hierarchies. Blank space means I’m not sure. There are sooo many different software options out there for photographers looking to get their client management under control and it’s cumbersome to pick through them, which is why I decided to do a comparison. I went to IMAGING in Atlanta this year hoping to get a hands on look, as there are usually several companies there, but there wasn’t a single company there showing off their CRM (client relationship management) software, I was shocked! I figured I can’t be the only one in this search. And based on the amount of times I see people post on Facebook asking who they recommend, this is a common problem. My research here and information I obtained is based on items I found important. This guide should help you get the basic jest of many companies, you may have to dig a little deeper if there’s a particular feature you’re looking for. I’ve chosen companies to compare that I’ve seen recommended by other photographers. Some are aimed just at photographers, many are aimed at small businesses in general. All are studio management software and all should be able to meet the basic needs of having clients sign contracts and keep track of clients. I believe all have it so that you can save your email templates, thus saving you time. Many, if not all, have some sort of automation for you as well. All also seemed to have questionnaires you can create and send your client. Some support multiple brands in one account. Some will let you pay for multiple accounts, but you have to switch between them. Some have bookkeeping capabilities built in. Some have it where you can export your info over to Quickbooks, but all have it to some degree, just some are more advanced than others. All seem to have calendar linking in some way. Some to multiple types of calendars like Calendly or Google Calendar. Many of my questions and focus are based on the things I need in my photography business, but I tried to get as much information as possible for myself and you to make an educated decision. Or at least make it easy to narrow down the choices you’d want to do a trial with. Please note, just because a feature isn’t listed, doesn’t mean that the company doesn’t have it, they have added it since I wrote this or I just didn’t see it off hand when I was researching. To me there are two types of CRM companies, those that target all small businesses and those that only go after photographers. Obviously, you’re going to have more photography related features with those that are photographer specific. So far, 17Hats might be the exception to this rule. For one, they integrate with two photography related sites, Shootproof and Fundy Designer. And they were the only ones that told me they linked with Fundy. I know many people use them for album design and I think they also do IPS now. Australia went on to say that photographers can connect and sync email, calendars, bank accounts, and contact forms to the system. With a paid subscription, you can have unlimited brands and up to 5 users. The pricing is pretty straight forward, there’s no different tiers, it’s $45 monthly, $295 for the annual plan or $395 for two years. One of my concerns is, if you leave a company, can you back up your client database and take it elsewhere. According to Australia, If you needed to switch companies or wanted to back up your info, you can export your contacts, but the contracts and such would have to be done individually. I had a lot of photographers recommend this one. For me, the deal breaker was that you couldn’t use your own authorize.net acct—so it could feasibly cost me about an extra $500 or so in credit card fees a year. Olivia Marie Smith of Bellemariephotography.com, however, says she is a big fan. Christian over at Dubsado said that their software is different in that they can be fully customized and branded to you. This includes contracts, forms, email templates, and even URLs. 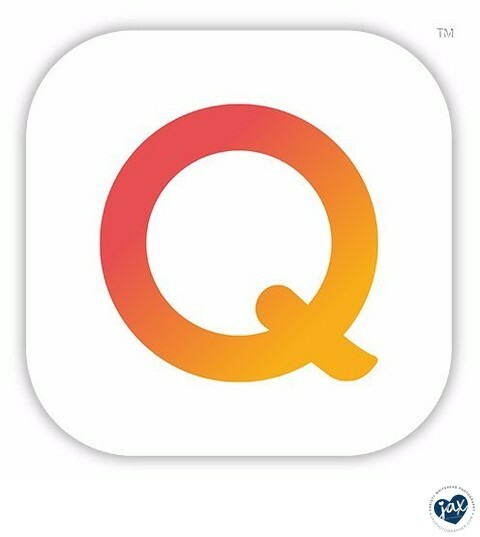 I was told they currently don’t have an App, but they are working on one. There’s no time limit on their trial, you just can’t go past three clients or leads. It runs $35 a month or $350 a year. If you want to add on additional brands, it’s $10 a month. Plans cover up to 3 users, beyond that will cost you more. In the event that you decided to cancel your account and go elsewhere, the agent told me that you have up to 30 days after you cancel to download and save all your client info, forms, invoices and contracts. Reports and address book can be turned into an CSV file for download. All forms, contracts, and invoices, however, would have to be downloaded as individual PDFs within each client project. This is another popular one among photographers. And it has one of the easiest setups if you’re coming from another company… they’ll set up your account for free! On Facebook, I found a bunch of fans of Honeybook. Keeping my hard earned money is a big deal to me, so one thing I didn’t like about Honeybooks is you can’t use your own credit card processor online through them, you have to use theirs for 3% fee on credit cards or 1.5% fee on ACH transfers. You can use your own processor in person and then go back into Honeybooks and manually mark something as paid for. This wouldn’t be a big deal for my clients that pay me at the studio, but all clients book their session online and pay their retainer there. And many have payment plans they need to pay online. 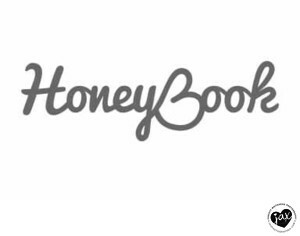 Honeybook runs $40 a month or $340 for an annual plan. FYI, beyond the 7 day trial they also have a 60 day money back guarantee, if you do decide to sign up. The other downfall is, if you leave Honeybook, there is no way to export your client information after you cancel. You can access your account as view only. Christian said that while your account is active you are able to download all reports and files. This system is made for photographers, just look at the camera in it’s logo. The brief glimpse I saw of it’s color palette, I liked it! If you have more than one brand, if you can send IrisWorks proof that both brands are yours, they will comp you a second account. Otherwise, they’ll give you a free secondary account, BUT, you will have to log out of one account to access the secondary account. Some companies, like ShootQ have a little more fluid way of going between brands, by just pushing a drop down menu. But this is still a nice courtesy. They do not have an app, but the sales agent said they are mobile responsive and many photographers save the homepage on their phone for easy access. (How to do that, here.) They are hoping to have an app in the future though. I asked the agent Megan what sets them apart from other CRM companies. Megan also goes on to say they integrate with many different companies photographers use. “Our invoicing can connect with Paypal, Stripe, Square, and Quickbooks Online,” she said. “You can also sync an external calendar like Google Calendar, iCal, Outlook, etc. 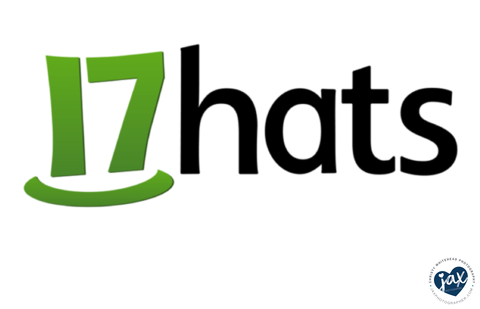 Other than 17Hats, IrisWorks is the only other company I found that integrated with Fundy Software. You create your products in Fundy, import that into Iris and invoice from Iris. You can also integrate IrisWorks with Shootproof. 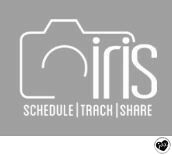 When you create a session in Iris, the client information is automatically sent to Shootproof, so you don't have re-type that information there. A gallery is also automatically created in Shootproof. In Iris, in the client profile, the gallery tab will take you to the client's Shootproof gallery. You will send your client the gallery through Shootproof. Iris Works runs $25 a month, you save 10% if you pay annually. If you want the option to allow your clients to pick time slots to book (to make mini session bookings easier! ), it’ll run $35 a month for your plan or you save 15% when you pay annually. They have a 30 day free trial. In terms of exporting data, you can go to Clients > Scroll Down (lower right corner) > Export to CSV. You can do the same in Invoices. Contracts are stored within each client's profile. You can print a PDF or screenshot those. Another thing to note, all the sites seemed to have a chat button, but the majority said their turnaround time was hours or a day. Iris works software said it gets back typically within 5 minutes and they were quick and efficient to get back with me about my questions. Customer service here was great. This company was started by a photographer and caters to this industry and other creatives. Unlike other CRM websites, I didn’t see a page that flat out explained all the different features. The pricing page lists some but I wasn’t sure what it all meant. For example they have gift card pages and gift cards. What’s the difference? They also didn’t have a popup chat button to ask, like all the other companies featured. So I had to send them an email. I did get a response within 2 hours, so that was pretty quick. When I bemoaned that they didn’t have a page that lists their features, Tim with Pixify understood. The features shown on their pricing page look like they are competing heavily with Shootq and have some similar structures as far as different levels have different amounts of brands and pricing sheets you can have. They have some impressive options. But it looks like I would have to pay $50 a month to get everything I think I might want. Although, since they don’t have a features page, I’m not sure if they do have all the features I want. just been so busy adding more features and more functionality it's taken a backseat lately! So the gift card option? It is a page that you can send or embed on your website where people can buy and send gift cards to themselves or to other people and then those gift cards can be redeemed on your invoices and booking pages. And speaking of payments, Pixify had the MOST options for ways to get your money from client to your bank account, which I like! I asked Tim about other integrations and he said they just launched a Zapier integration, which connects Pixify with over 1,300 apps. Personally, I’m not familiar with Zapier. A quick look at their website says it would connect to apps like Facebook, ClickFunnels, Trello, Gmail, Mailchimp, GoogleCalendar, Gravity Forms, Wordpress, Acuity, Sohpify, SurveyMonkey, among others. The website says the platform lets you create triggers and actions you can use to automate and integrate all your different apps together in one place, basically. From what Tim was saying, you can even integrate Proselect (IPS software) through this app. Zapier has a free plan, but they also have paid options. 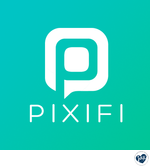 There’s three plans to choose from for Pixifi. The Essential, is $24.99 a month and covers one staff member, one brand, and one pricing page and 2 services. This seems limiting to the point that I’m not sure what photographer could use this base plan. The next level is Boutique at $34.99 month, with 2 users, 5 brands, 3 pricing pages and 2 booking pages with up to five services. If you want unlimited everything and have access to the gift cards, you’ll have to splurge for the $49.99 a month plan. As or leaving, Tim says if you want to export your client data, there’s an export option for that as well, so easy peasy to back it up or move the info somewhere else if you needed to. As for customer service, I must say that Tim took my complaining about them not having a features page in stride. He was very friendly and seemed to have a great sense of humor. ShootQ Legacy is the system I’m currently on and that is their old system. They have been upgrading to the new system for years. Some members have gone over to the new side and all new people are on the new system. One reason many people haven’t gone over to the new system is if you have more than one brand, they currently don’t support that. In the Legacy/old system, I could click my name at the top and easily switch to my other brand. ShootQ is specifically designed for photographers. They also own Simply Color Lab. I love Simply Color lab and with a ShootQ account you get 30-40% off your print order at Simply Color, which is a big money saver for me as they have many unique products I can’t get anywhere else. They used to have an app for the Legacy System, but it wasn’t great. It looks like they do have an Apple app and are working on one for Android as well. I haven’t used the new app though to tell how it’s different. An interesting thing about ShootQ is, when you sign up for them, while you are setting up and going through the walk through, you’ll get $230 in free product to use at Simply Color, just for setting everything up. So it is an incentive to get it done. They have four different pricing levels and it depends on how many users and brands you have. Emerging (free) covers one user and brand but is only good for 6 jobs or less and won’t get you any discounts at Simply Color. The rest of the plans include the Simply Color discount and have no limits on the jobs in your system. Start-Up ($29monthly or $24 when paid annually) includes 3 users and 1 brand and is probably ideal for most photographers. Studio ($60/$40) includes 6 users and 2 brands. Hub ($80/$67) covers unlimited brands and users, but I only see this being ideal for maybe a studio that has several locations. There is an online mini booking module that I’ve been told would make it so photographers don’t have to additionally pay for acuity or bigcartel to do their mini session time slots effectively. The online booking and workshop module is $10 a month or $7.50 a month when billed annually. You’ll have to request it to try it out during your trial. According to the website: This fully integrated session booking engine will allow you to email your client list or post on social media and sit back while your clients book their sessions with you. Sessions can be set for 15, 30, 45, 1hr, or 2 hr time slots. Fill your calendar month after month without the hassle or back and forth of phone calls or emails. If you wish to leave the new system, you can export the contact list, but contracts, questionnaires and invoices have to be downloaded individually. Sprout is a smaller company and I hadn’t heard much about them, but they do have some unique features. One being they have an online gallery ordering system that is supposed to imitate an IPS (in person sales) session. A client can upload their wall photo to the gallery and place their images on the wall to see what they would look like at different sizes. They can also rate images. This is great for photographers who want to be one step above shoot and burn, but I don’t think in person sales can be replaced with an online gallery function, essentially. Like Shootproof, you can set various permissions for downloading, etc. You can also do coupons on the online galleries, like you do in Shootproof. Sprout says it is mobile responsive, so they say they have no need for an app. They also have an album proofer built in. So you design your album in whatever software you normally use and then your clients can see the album in the proofer and make comments. Their agent Justin said that the fact they are all inclusive is their biggest selling point. Also, their basic plan, Lite, only allows 10 active shoots at any given time, for $17 a month. Basic, allows up to 20. So if you work full time and only do an occasional shoot, you’ll need to do the Pro ($49) or Studio ($69) plan. The Studio plan, does allow for unlimited shoots as well as unlimited brands, whereas Pro allows for 2 brands. You would need either of these plans to take advantage of the design proofing and sales galleries as well. They have a 21day free trial. As for exporting your client database and files, with Sprout you can export your reports and contacts on the pro plans, but all other data has to downloaded manually. Basic plans appear to have no way to export out your info. Some of the appeared to have some automation with leads, so that when a client emails you it would automatically trigger a set of emails, Studio Ninja appears to do this as well. So when you’re on vacation and someone emails you about newborns, that email will trigger a set of emails (that you set up) to be sent to the client without you having to lift a finger. They currently don’t support multiple brands at the moment, but they hope to have that feature soon. I wanted to know what set Studio Ninja apart from other software. "Studio Ninja is the most user-friendly, our customer service rocks, we listen to our users, we don't have any hidden fees, we update our software almost on a monthly basis, we give $1 of every subscription, every month to charity, we have the most affordable pricing, we're putting together discounts for our users to some of the world’s biggest photography brands, and we actually care about our community," according to Chris, the cofounder of Studio Ninja. The customer service and chat feature for Studio Ninja was fast. Their pricing plans are def. one of the most affordable out of all the systems. You get a 30 day free trial and then after that it’s pretty straight forward. Do you want to pay monthly ($21.95) or annually ($17.95 a month). This gets you unlimited users, unlimited invoices, jobs, workflows, etc. If you want to export all your client information, Studio Ninja chat person, Jan says it’s pretty easy with the export button. Tave popped up at IMAGING a couple of years ago and I see people recommend them often. They have articles and videos to help guide you through setup. Tave has integrations with Shootproof, Red Cart and ProSelect for importing orders prepared for your clients from any of those services. They don't have an online scheduling feature at this time, but they are working on it. One feature I saw listed for Tave that I didn’t see for other systems, other than ShootQ (at least not listed) is a way to track referrals. For me, this is a great way to keep track of who sends me the most leads. For wedding photographers, you can see if certain wedding planners or venues send you more business than others and reward them accordingly. That doesn’t mean the other CRM systems don’t do that as well, but I didn’t see it listed. Their pricing is pretty straight forward, the Solo plan ($24.99 month if monthly) is for 2 users, 1 brand and unlimited everything else. You would only need to get a larger plan if you have more users or brands. The Studio plan ($49.99 month) appears to allow up to 10 users and unlimited brands. You save 12% if you pay annually. If you’re willing to pay 10 years in advance you’ll save 50%, making the Solo plan only $12.49 a month. I was told they have a special coupon code for Shootproof users, you can use for 20% off your first year if you use code TAVE19! There’s a lot of systems out there and they each have unique looks and features. I’d suggest looking through the list and picking maybe three of them that have the best features you would like and try them out. No matter what, I would HIGHLY recommend a CRM for any company or photographer. They keep track of clients, emails, invoices, etc and save you so much time which is ultimately money! This comparison was last updated April 2019. I will try to keep it up to date and may even add screenshots when I can.